Christian Paré is known for the versatility of his playing many percussion instruments and international musical styles. His love and passion for music led Christian to study a wide variety of musical styles with a world vision. 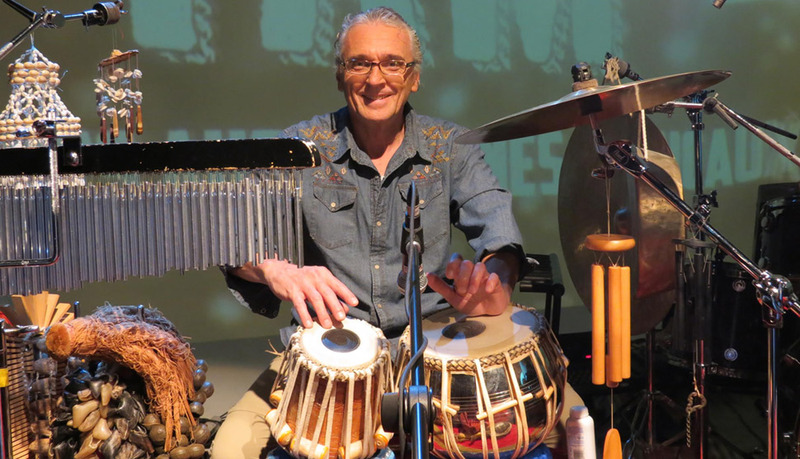 Having learned various rhythms during private lessons as well as during his academic training at the University of Montreal and Université Laval, he has kept refreshing and adding training with masters including legendary Zakir Hussain, Ali Akbar Khan, Karl Perazzo, Giovanni Hidalgo et Luis «Changuito» Quintana. Also, twice in West Africa with Les Grands Ballets of Guinea’s djembe soloist, Laurent Camara. More recently, in Easter Island, during two encounters with Rapa Nui artists and musicians.